Why Do People Take Ecstasy? Ecstasy produces a euphoric feeling which lasts approximately 3-8 hours. 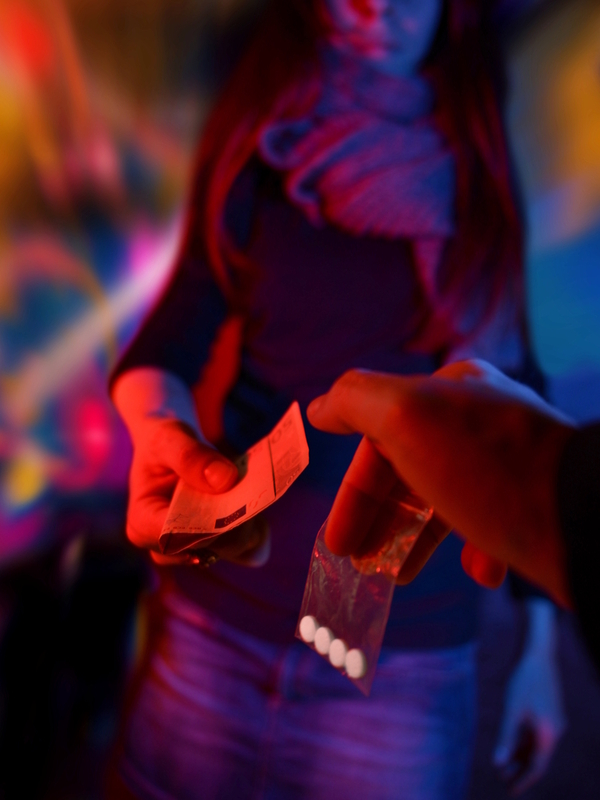 Popular on the party scene, the drug can affect the brain and body in many ways. Learn more about the effects of Ecstasy and why it is used. The main ingredient in Ecstasy is MDMA (3.4-methylenedioxy-N-methylamphetamine) which is an illicit drug. Known for its stimulant and psychedelic properties, the drug also has an energizing effect on users who experience distortions in time, perception and enhanced enjoyment of tactile experiences. Tablets or capsules are the typical form which contains 60-12 milligrams of the drug. MDMA acts upon the serotonin neurotransmitters in the brain which controls appetite, sleep, memory, learning, and mood. When large amounts of serotonin are released, happiness and empathic feelings increase. Social engagement goes up and feelings of mental stimulation also increase to heightened levels. Sensory perception is also enhanced, a common effect of feeling ‘high’ on ecstasy. The drug MDMA gained popularity in the 1970s when Dr. Alexander Shuglin rediscovered the MDMA compound which was then promoted as a psychotherapeutic tool. Psychiatrists utilized the drug to help clients gain insight into problems. The U.S. Food & Drug Administration (FDA) did not approve the drug for use in clinical trials until 2000 to treat PTSD or post-traumatic stress disorder. Known both as ‘ecstasy’ and ‘molly,’ the DEA (U.S. Drug Enforcement Administration) banned the drug in 1985 as a Schedule 1 controlled substance which had ‘no medical use and high potential for abuse.’ The psychological dependence which can develop begins when an individual takes ecstasy to get high and experience euphoria. A person will seek out more of the drug to achieve the high which can lead to addiction. The most common use for MDMA is at parties and music festivals. Known as a fun loving drug, MDMA gained popularity among young people who attend huge events with lots of other people where lights and sounds are amplified by the use of ecstasy, in spite of the dangers and risks associated with use. It is highly unlikely to find pure forms of MDMA on the streets because it is mixed with unknown chemicals with possible consequences to the person using the substance. Lack of awareness about the properties of ecstasy and risk to individuals who use has led to fatal consequences for some. Some of the risks of using MDMA include dehydration, overheating and risk of heatstroke. Long-term use can lead to psychological and physiological consequences over time. Although people use MDMA to connect with others, share an experience and feel good while doing so, the risks are too great to ignore. Individuals who use ecstasy (MDMA) have an increased risk of addiction. If you or a loved one need help in recovery from ecstasy, call Hired Power at 800-910-9299 for information on how we can support your journey.